Get instant access to current events and issues that relate to each Bible lesson. Share lessons through e-mail and your favorite social media sites. Every week you'll find a hot topic in the world today that relates to students ages 11 through 18, plus adults. Scroll down for the most recent lessons or visit the lesson archive. 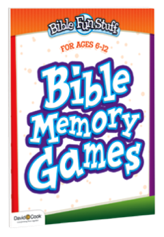 Designed to be used with your Bible-In-Life or Echoes teacher guide. Enhance learning and class discussion by connecting current events with the Bible. Simply replace steps 1 and 4 with RLD. Share RLD lessons with anyone. Send a link by email or post to your favorite social media sites. Save any lesson as a PDF file or send it directly to your printer.